I received a comment/question that’s interesting from a reader named Trina following my Sgt Pepper – Label Variations post . 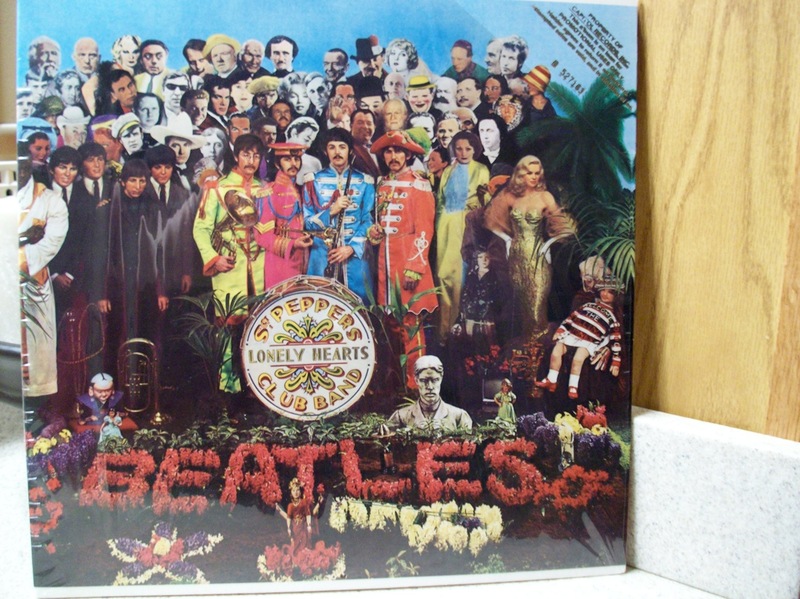 In the photo you can clearly see some stamped text in the top right-hand corner of what looks to be a US vinyl copy of the legendary Sgt Peppers Lonely Hearts Club Band. 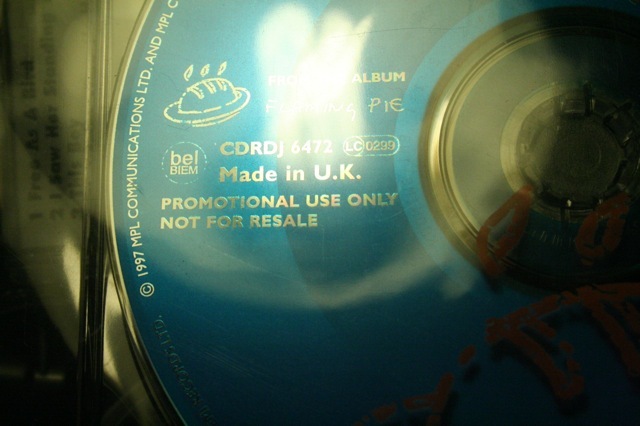 This is a promotional or “promo” copy of the LP. It originally came out in 1967 – but what Trina has here looks like a much more recent re-issue by the Beatles US record label, Capitol Records. The stamp on the cover indicates that it was probably sent to a radio station, a record reviewer, or someone in the industry. Masses of these “promo” copies (nowadays usually just CD’s) come in to radio stations all over the world. The record companies send new releases in the hope that they’ll be played or talked about on the radio, or written about and reviewed in newspapers and magazines. However, record company promo copy numbers are dwindling due to the growing use of electronic file transfer of new tracks to radio stations. 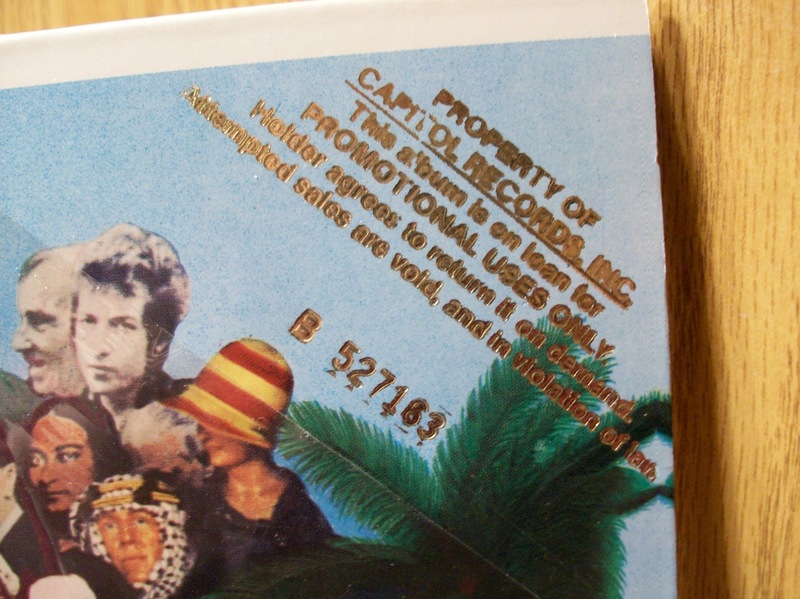 Promo copies usually have a sticker or a stamp that states the record is strictly for promotional purposes only. 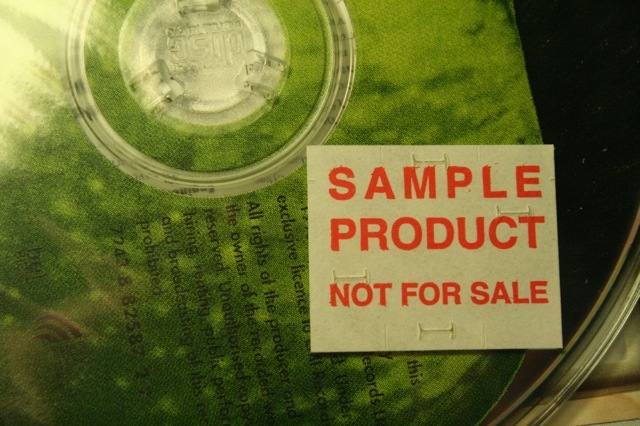 The record or CD actually remains the property of the record company, and is “not for sale”, though how they actually police this is an interesting question…. Promo copies don’t usually have a serial number on them (like this one does) but I guess that’s an attempt at some form of added security indicating that, if they wanted to, Capital could trace back exactly who they sent this copy to. A promo copy like this one for the Beatles is pretty rare and would be of interest to a collector – and therefore more valuable than just the standard, store-bought version. It also looks to be in really good condition which is a bonus. It also looks like it still has the plastic sealing on it, and I’d keep it sealed if possible as that also adds to the value. All-in-all a really nice, collectable record! 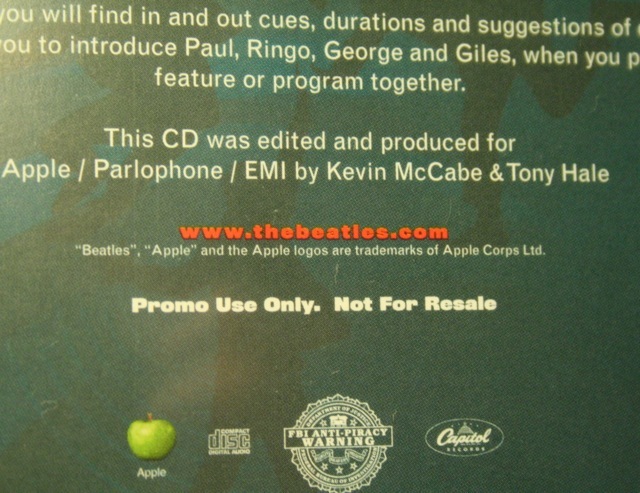 Sticker on the jewel case for the Australian Beatles CD single "Free As A Bird"
Printed onto the disc of McCartney's UK promo CD single for "The World Tonight"
Promo copy of the deluxe version of "Good Evening New York City"
This entry was posted in Beatles, Beatles Collecting, Beatles Music, Beatles Related, Paul McCartney, Rare Beatles, Uncategorized and tagged Beatles, Beatles Collecting, Beatles promo copy, Beatles Related, Paul McCartney, Rare Beatles, Sgt. Pepper by beatlesblogger. Bookmark the permalink. I’ve got a couple of records just like this. Most of them sealed, with the top-hand corner of the cellophane removed in order to place the stamp. Do you have any idea about the worth of these vinyls?